After solving a missing child case that ripped the façade from a powerful pile of corruption in the fictional Westchester County burg of Tarry Ridge, investigator Brenna Spector has become a bit of a Media Event, appearing on a talk show called "Sunrise Manhattan," noted on Page Six of the Post. Her former boss, a slime who makes his money hunting cheating spouses, has even faked up a boldface endorsement from her for his website. When her assistant Trent gets drawn into a case involving a missing webcam "performance artist" named Lula Belle, she's stunned to realize that Lula Belle's monologues seem inspired by things only someone from Brenna's own family could know. Could Lula Belle be her long-lost sister Clea? Brenna's got to find out. Sometimes helped and sometimes hindered by her hyperthymestic (perfect memory) syndrome, Brenna follows the twisted trail with the aid of self-declared lady-magnet Trent, her cop-sorta-boyfriend Morasco, and her own dogged courage and empathetic wisdom. 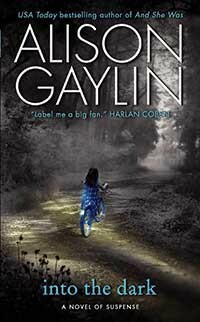 Gaylin's pacing and characterization are spot-on, striking a perfect balance between the labyrinthine plot and the soul quake Brenna experiences throughout. Her struggles to be a good single mom in a job with irregular hours (and the odd assassination attempt), her gradual emergence from her shell with Morasco, and her handling of her atypical brain, are exquisitely drawn and suspenseful in themselves. If this is your first introduction to Brenna, or to Gaylin's sleek prose, you may want to catch And She Was, Brenna's first adventure, while eagerly awaiting her next spate of trouble. 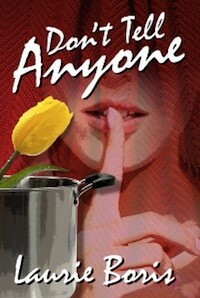 Don’t Tell Anyone, Laurie Boris,CreateSpace, 2012, $13.99. Family history and the secrets people keep also drive the latest novel from Gaylin's fellow Woodstocker Laurie Boris (Drawing Breath, The Joke's on You). Boris weaves a moving domestic saga of a charming young Hudson Valley couple whose lives get thrown into a Mixmaster when they discover that Adam's mom, Estelle, has been concealing her advanced breast cancer. Liza—a small-time community journalist studying to become a nutritionist—has never been close to her mother-in-law; in fact, she's felt downright dissed by the woman, who now extracts from her a vow of secretive suicide assistance. As if that weren't enough to handle, Liza has a complex history with Estelle's other son, Charlie, a gay man who's kept some longstanding secrets from his own brother. The four of them ride the rollercoaster that is cancer through dips and slaloms as they learn, painfully and sometimes comically, that holding hands makes the ride bearable; throwing rocks, not so much. Boris has a light touch and a warm, affectionate way of bouncing her characters off one another's foibles. 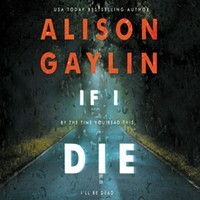 Issues like end-of-life choices, adult sibling rivalry, an elderly mother's acceptance of her gay son's life path, and medical marijuana all influence the plot but are never allowed to overpower the sensation that you're tucked into a comfy chair on a small-town deck, killing a bottle of good local wine with a girlfriend while she spills a tale of love-infused struggle. This is how we grow, through unexpected circumstances and secrets laid bare, and Boris had me crying on the last page. 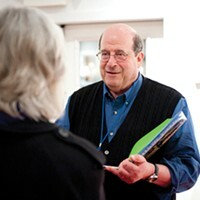 Laurie Boris will appear 3/2 at 5pm at Golden Notebook, Woodstock.